Those first three steps are easy to do—but don't be intimidated by the last one. As complicated as #4 sounds, we can help make it simple. Let's review these steps in more detail. Now, it's important to note that "paperless" is still a relatively loose term in today's business world. It's not easy to go entirely paperless when some clients want paper bills and invoices, and while you'll receive plenty of paper in everyday transactions. However, you can reap the security, flexibility, and convenience of digital documents without banishing paper entirely from your office. Here's how. This is an indispensable first step if you're digitizing a lot of files. If you already have a printer with a scanner, you'll need to evaluate how up-to-the-task it is. For instance, a flatbed scanner will make your process incredibly long. You need a scanner that you don't have to "babysit," and that can handle the entirety of your archives. Some businesses forget that you'll need to dispose of your paper documents once they're digitized—and you'll need to find a shredded that cross-shreds to ensure security. This is the part that can be time-consuming, but the office intern will no doubt find it thrilling. Once your documents are digitized, they'll be easy to search and share. However, without an organizational structure and digitized workflows, your office won't be more productive; you'll just swap the problems of paper for digital problems. 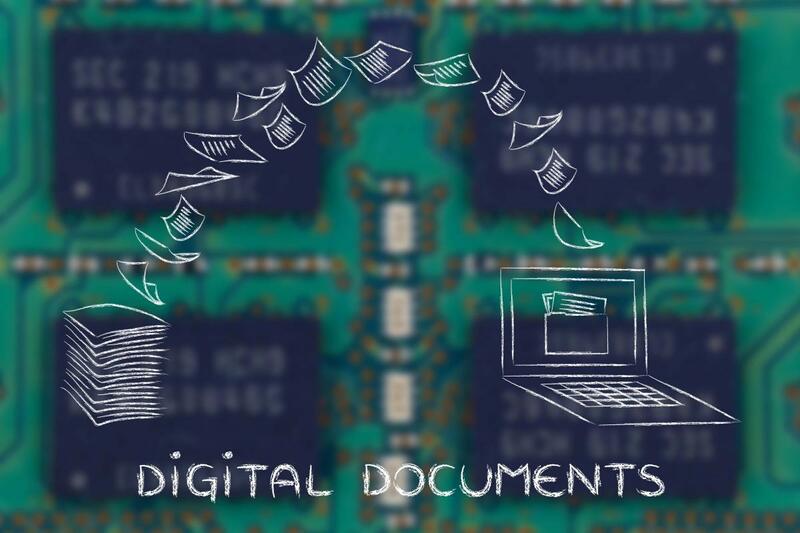 Invest in a document management system and get professional help digitizing your processes.